The autumn and winter months are the perfect time to head north above the Arctic Circle – 69 degrees north to be exact. 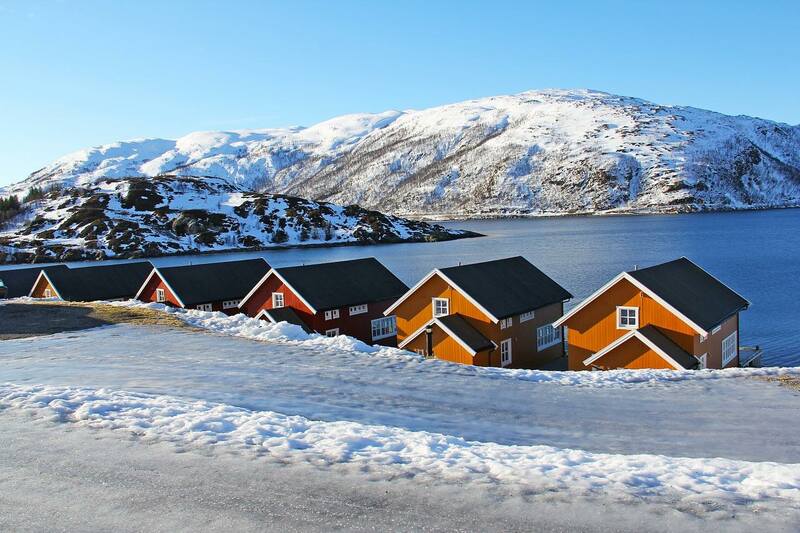 The exceptional snowy mountains, glassy frozen lakes and wild animals roaming through the countryside just a short distance from Tromsø city centre, makes this one of the best European destinations to embrace all that nature has to offer. There is no shortage of tour companies in Tromsø, each offering a different take on the wildlife of Northern Norway. It helps to have an experienced guide who knows the roads and top locations when trying to embrace nature on land and sea. 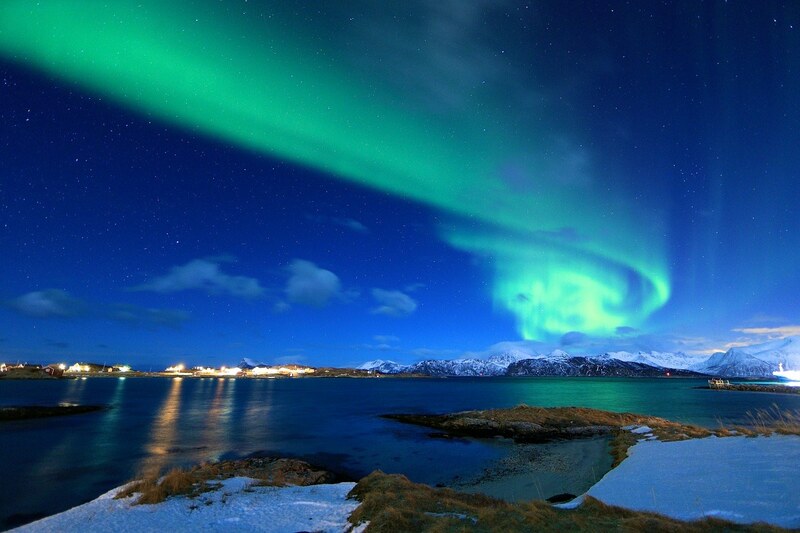 Tromsø is surrounded by towering snow-covered mountains on one side and the wide-open ocean on the other. One of nature’s greatest phenomenon’s is the northern lights, the flashing streaks of green, orange, red and blue lights that flash across the skies, but one of the biggest issues involved with searching for the lights on land is light pollution from street lamps and houses of Tromsø City. An alternative to the traditional land excursions, is to venture out into the darkness of the sea surrounding Tromsø is to see it from the water. Setting out aboard M/S STRØNSTAD is a unique experience. The excursion leaves Tromsø harbour at night when the skies are perfectly dark and lasts for around 4 hours, slowly sailing into the darkness and chilly winds, with nothing to see other than a blanket of stars overhead and hopefully the bright and colourful lights of the aurora. Whilst waiting for the lights to appear, guests can sit inside the comfortable and warm cabin with hot drinks as guides talk about why the northern lights happen, how to spot and photograph them and the Sami and Viking legends relating to the lights. When the northern lights appear in the skies, the captain makes an announcement over the speakers and everyone rushes out onto the ice-coated decks of the boat, sets up their cameras and focuses on the skies, eagerly awaiting the flashes of colour. If you don’t have sea legs, then there are a number of companies in Tromsø offering northern light hunts by land, with drives into the wilds of Northern Norway, leaving behind the street lights, paved roads and civilisation. The best way to see the northern lights is to find somewhere with open skies and spectacular mountain scenery, hours from other people. Expert guides from various tracking companies use apps on their phones and keep in contact with each other to track the movement of the lights through the skies, stopping off often to look out for faint flashes above. When the best site has been found, even if it means driving across the border into Finland, the guide sets up a camp fire and sets up cameras pointed up at the dark sky. Even if the northern lights do not make an appearance, the faint glow of the crackling fire gently lights up the mountains and snowy landscape surrounding you, and the tasty hot drinks and sausages cooked in the open fire makes for a unique natural experience in the freezing cold and picturesque wilds of northern Europe. One of the best things about searching for the lights by night in the wilderness is that you have absolutely no idea where you are and phone signal is patchy to say the least. The wilds of Tromsø are arguably more breath-taking in the light of day than at night – even if the daylight during winter only lasts for a few hours and casts a dull glow over the landscape. From central Tromsø you drive through a tunnel that passes through mountains (with roundabouts inside the tunnel) and onto Kvaløya Island (Whale Island) where there are small villages and quaint red wooden fishing huts dotted along the shores of lakes and fjords. Along the way you pass narrow wooden bridges over fast-flowing icy rivers, uniquely Norwegian one-way metal bridges, the base of towering snowy fjords and frozen lakes, the minibus stops so that guests can take photos of the landscape or go for a short walk through ankle-deep snow fields or windswept beaches. Northern Norwegian nature in the overcast daylight is a sight that will never be forgotten, and the secluded villages and wooden huts in the middle of nowhere could easily tempt you to leave civilisation behind and embrace a more natural way of life. You simply cannot visit Northern Norway without spending time with reindeer and the indigenous Sami people and you can do so at a traditional Sami reindeer farm a few miles outside of the city. Upon arrival, a Sami reindeer herder gives an introduction to the life of reindeer herders in the wilds of Norway inside a traditional lavvu (a Sami tent that herders dismantle and rebuild as they follow their herds through the wilderness) before letting guest loose into a field of hungry semi-wild reindeer with buckets of food. There are few places in the world where you can feed reindeer by hand surrounded by tall mountains and snow fields. A meal is served inside a wooden gamme (Sami hut) of hot reindeer stew (although vegetarian options are available) before a talk back inside the lavvu around an open camp fire where the herders talk about their clothes and way of life before giving a rendition of traditional folkloric singing. 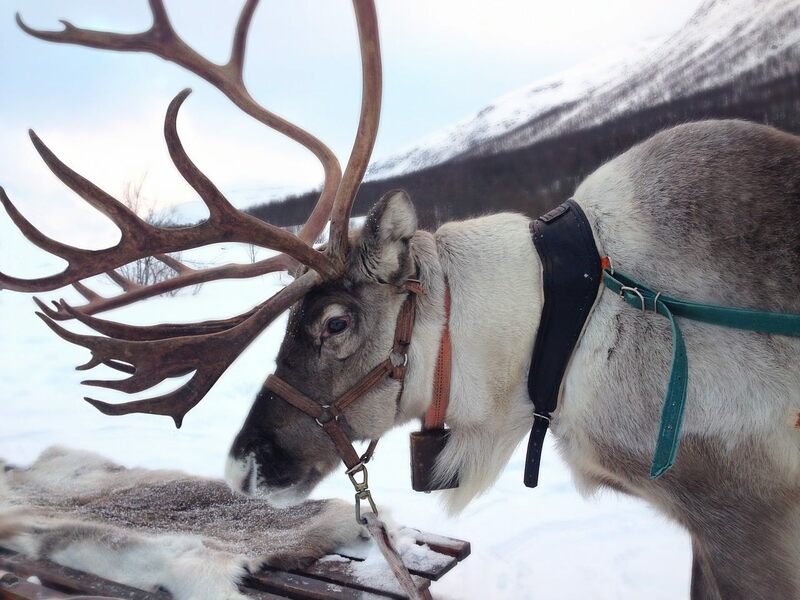 Reindeer are an integral part of rural Norway, so where better to meet some than on a Sami farm.